Editor's Note: we are including Richard Louth's class on its own merits, but this is a preview to his article on the pedagogy of Writing Marathons, which will appear in Assay 1.2 (Spring 2015). This is a creative writing course in which we write nonfiction as opposed to fiction, poetry, or drama. Our creative nonfiction will focus on our own lives and observations of the world around us. Emphasis is on students as writers and on the course as a writing course supplemented by readings. We study outstanding examples of autobiographical writing to better understand the art of writing about one’s own life in different nonfictional genres. Writers in the course 1) participate in “writing marathons” and other journaling activities to generate material for rough drafts; 2) participate in response groups and critiques to revise drafts into artful finished works; and 3) publish their work online and through “author’s chair” public readings the last week of class. Journal: Students will be asked to write in their journals during class and outside of class. Writing will consist of “journal entries” that we do together in class and on writing marathons, exercises, lists, and other kinds of notes that can provide useful source material. As in-class journal writing and sharing are fundamental to the course, journal grades will reflect course attendance and daily participation. “Pocket Notebook”: Pocket notebooks are for daily notes and observations and should be always kept on you with a pen or pencil. In-Class Reading Log: Students can expect to complete a 10 min. writing on a topic assigned by the teacher concerning the reading due each class. The purpose of these reading log entries is to stimulate class discussion and individual understanding of assigned works. I will count your 10 best entries. As this is in-class work meant to stimulate discussion and encourage attendance, late entries are not acceptable. Evaluation is based on quality of thought, detail, and depth of response to the topic. If you keep up with the reading and attend class regularly, you should do well. Sketches: Two short pieces of life writing (each about one page, single-spaced) on topics that spring from class (journaling, writing marathons, in-class writing exercises, or reading). The purpose of these sketches is to give you practice with elements and genres of creative nonfiction. A secondary purpose is to provide raw materials that you may turn into your final piece of writing. Autobiographical Piece: A creative nonfiction piece of autobiographical or life writing between 8-12 double-spaced pages accompanied by a single-spaced one page letter to the reader discussing the story. This piece is shared in “Author’s Chair” the final week. Autobiographical Piece: It should grow out of your reading and writing in the course and should be original, creative, nonfictional, and based on your life in some way. The work must be all your own and not written before the course began. Students submit this work in hard copy and online to the teacher by a designated date around midsemester, are critiqued by the class and the teacher, and submit a revision in hard copy and online to the teacher on Tuesday of the last week. This work may grow out of one of the shorter sketches done earlier in the semester. Accompanying Letter: Accompanying the first draft must be a letter to the reader, no longer than a page, explaining what you are trying to accomplish in this piece—what it is about, what you think works, what you struggled with, etc. Accompanying the revision must be a letter discussing the revision—changes in detail, sentences, etc. ; critiques that were especially helpful; anything new the reader should notice; and why the piece is worth reading now. Author’s Chair: Each student will read from his/her major piece during the final week of class and talk briefly about writing it. Critique: A critical response to each student’s major piece, including markings on the piece itself and a letter to author summarizing your thoughts. About half of the semester is scheduled for students to critique each other’s work. Each week, students will be assigned several of their peers' stories to download from Moodle, print, read twice, mark up, and respond to in a single-spaced summary comment no longer than a page. Students will be required to discuss their critiques in class and to hand a copy to the student they are critiquing as well as to the teacher. These critiques, together, will become a portfolio of critiques, and they will be assessed holistically according to completeness and overall depth and quality. Class participation in oral critiques is considered as well as the written critiques. Final Exam: The final exam will be comprehensive and may address the works read during the semester, the critiques, students’ journals, their short stories, or any aspect of the course. Students must take the final exam to receive a passing grade. Richard Louth is the Director of Southeastern Louisiana Writing Project and Professor of English at Southeastern Louisiana University. Recent journal publications include work in Research in the Teaching of English, The Journal of Experimental Education, Journal for College Writing, Strategies for Technical Communication: A Collection of Teaching Tips, and The Bulletin of the Association for Business Communication. 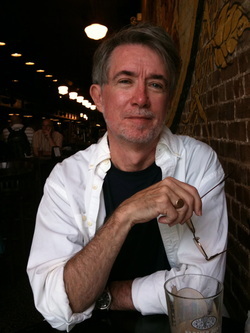 He also has fiction and poetry published in Louisiana Literature. Books: How to Teach Freshman Composition and Collaborative Technical Writing: Theory and Practice.